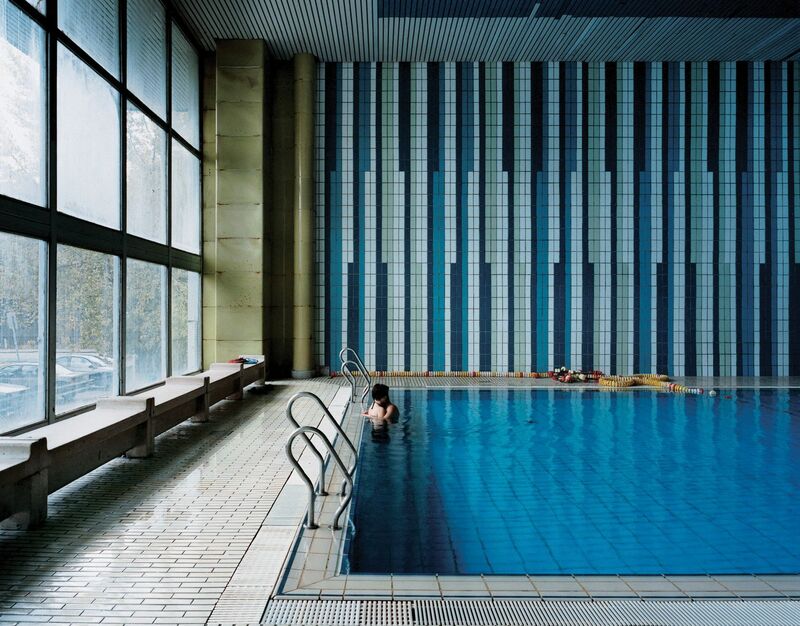 Tomoko Yoneda's photographs of landscapes and interiors might seem on first glance beautiful locations without any historical importance. We can enjoy the considered and tranquil view and then move on to another equally beautiful scene. Yoneda seduces us with her images and on first viewing it is easy to miss the clues to the other narratives within the pictures. After reflection we realise that these photographs depict something more complex and troubling. Upon reading the captions we learn that the histories of these locations undermine the alluring nature of the scene before us. Every building and every landscape has been marked in some way by destructive forces. Only after extensive research and investigation does Yoneda pick her subjects. . The sea, the forest, flowers or derelict buildings have been chosen to illuminate historical conflicts from the late nineteenth century to the present. The artist has asked these nonhuman forms to 'speak' to us about the past. The historical range of the exhibition covers the First and Second World Wars, the Second Sino-Japanese War through to the aftermath of the Cold War. The geographical range of the exhibition extends from northern Europe, to Brazil onwards to Bangladesh, and from Japan to China by way of Taiwan. With her series 'Japanese House' (2010), Yoneda has photographed homes built in the capital of Taiwan, Taipei, during the period of the Japanese occupation from 1895 until 1945. The influence of Japanese design and taste can be seen in her prints titled Former House of General Wang Shu-Ming. With design references to shoji screens, alcoves of grid-like structure, the more recent intervention of western wallpaper and 'Chinese' dark red paint, the house can be seen as a site of conflicting political ideologies. In her series 'Rivers Become Oceans', (2008) the destructive force of climate change is alluded to. Due to its location on the delta of three major rivers, Bangladesh is the most vulnerable of nations due to rising sea levels. The photographer has portrayed a country living on the edge of the sea, but also at the edge of existence. In the triptych Beyond Memory and Uncertainty: American B52 Returning From a Raid in Iraq. Fairford, England(2003), B52's are pictured in blue skies returning from bombing raids in Iraq as they land at a military airport in the UK. For the artist this is not only a recent event, but also a personal reference to her parent's memories of the noise of American B29s bombers, flying over Japan during the Second World War. It was the B29 that dropped the atomic bombs on Hiroshima and Nagasaki. Other works in the exhibition reference the battlefields of the First World War, disputed national borders and annual memorial events. If one theme runs throughout Tomoko Yoneda's work, it is remembrance. For her, history is alive because she can always find something tangible to feel and to see the connections directly to the past. With imagination and with the aid of her photographs, we can also follow her lead and also become witnesses to the past.